"La frutteria" is an innovative product in the field of mixing. Thanks to the use of first-choice natural concentrated juice, "La Frutteria" is characterized by a greater-than 100% percentage of pulp and juice. "La Frutteria" as a semifinished fruit product keeps the fruit taste intact in all its natural characteristics. It's a great base for frozen cocktails, aperitifs and long drinks. The professional "Speed bottle", thanks to its custom handle dispensing cap, enables quick and precise dosage minimizing waste and trouble. 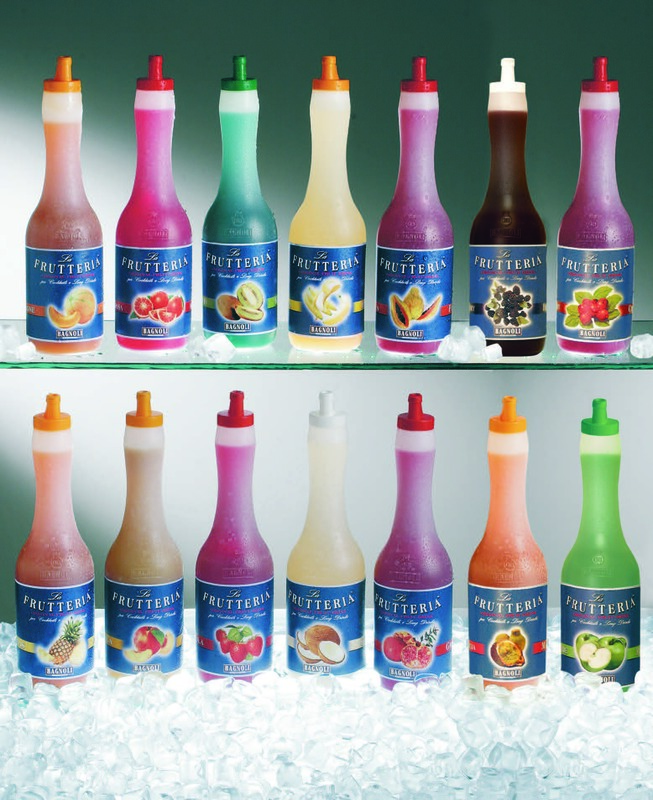 "La Frutteria" is suitable for the preparation of "FROZEN", a modern processing technique that involves the use of fruit, liquor, spirits, ice, and the use of an electric blender. The use of the blender allows for a mousse and ice and product. A cool and inviting drink to be consumed year-round, especially in the summer. "The Frutteria" is also routinely used in fruit salads and ice cream, alongside traditional shaked cocktails, enhancing aromas and flavors.